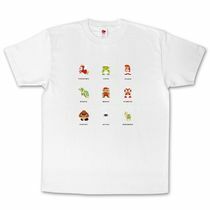 Nintendo's Japanese rewards program offers an awesome collection of t-shirts to choose from. The Deal Machine returns with four cheap games for sociopaths. Ever wonder how much Iwata and Miyamoto make? The Rabbids are traveling back in time to when their games were mini-game collections. Ubisoft Paris is developing the next Rabbids game, called Raving Rabbids Travel in Time, which is apparently a mini-game collection like the first three games in the series. With the game's release rapidly approaching, more details are starting to emerge. 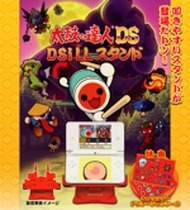 Hori will be releasing a new drum stand to be used with the Nintendo DS lineup. Nintendo is standing firm on their original release window for the 3DS, which was before the end of the current fiscal year, despite the fact that Nintendo of America President Reggie Fils-Aime teased a specific time frame of "next year" on Late Night with Jimmy Fallon last week. Bioware's classic action title is reborn as a downloadable title. Interplay has announced that Bioware's classic third-person shooting game, MDK2, is being re-released as a WiiWare title. The port will be handled by Beamdog, a development studio founded by Bioware employee Trent Osner. Play tennis with Mario, Jett around on WiiWare, and battle mutant insects in this week's selection of downloads. The Virtual Console makes a triumphant return to N64 classics, and there's a variety of WiiWare and DSiWare titles new for download this week. Level-5's soccer title is set to grace the console. Level-5 has announced that their next entry in the console series of Inazuma Eleven games will be appearing on Wii. The title has been referred to as "Inazuma Eleven Break", but there is no final name as of yet. 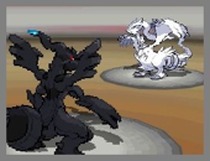 The announcement was made by company CEO Akihiro Hino at a fan appreciation event for the series, and there were some screenshots shown at the event. The best Nintendo site on the web just got better. Reggie speaks about the 3DS, stating that the system will not be available this year. While on the Jimmy Fallon television show last night, Reggie Fils-Aimes stated that the Nintendo 3DS will not be available in North America this year. Instead it will launch in 2011. Gamers who purchased a white DS game card case from Club Nintendo in North America may soon be getting a refund. Nintendo will be refunding 300 Club Nintendo Coins to fans who purchased a white Nintendo DS game card case, which originally was available for 600 coins. Nintendo and Retro Studios clarify why they omitted underwater stages and the status of the other Kongs. Retro Studios' new entry into the Donkey Kong Country series won't feature the series staple underwater levels, according to Kensuke Tanabe, the Nintendo manager who has worked with Retro for quite some time. Six new titles will be joining the bunch by the end of July in Japan. While the Virtual Console continues to struggle in terms of releases, Japan is seeing half-a-dozen new titles next month, with most of them being for the Neo Geo. Four Neo Geo titles will be released next month, accompanied by a Super Famicom and Famicom game. Those hoping for Mario Tennis, which was just released in Europe, will have to wait until at least August to get your hands on it. Zelda producer discusses his views on DLC in regards to the series. Eiji Aonuma, producer of the Zelda series, discussed the potential of downloadable content in the series in a recent interview with Game Informer. When questioned about the topic, he replied with, “Obviously, we have thought about DLC, and we are thinking about it." This is by no means a confirmation of downloadable content appearing in The Legend of Zelda: Skyward Sword, but it at least tells us that they are considering it. The company's President confirms that they are working on content for Nintendo’s new handheld. In a recent interview with Joystiq, MonkeyPaw Games President John Greiner (former President of Hudson Entertainment, the U.S. branch of Hudsonsoft) was questioned as to whether or not his team is going to jump on the Nintendo 3DS bandwagon. He confirmed that they are indeed planning to develop for the device. Nintendo’s new handheld may be charged differently from its predecessors. With all the buzz surrounding the Nintendo 3DS over the past few weeks, it isn’t difficult to skip over a piece of information. One example is Nintendo displaying a different way of charging its new Nintendo 3DS at E3 last week. Besides using a typical AC adapter (like what many of the demo units were using during the event), Nintendo also displayed a charging cradle that can be used to charge its new device. EA Sports’ vice president of football thinks that FIFA’s biggest market is about to change. Four years ago, the U.S. market was the fourth-biggest market in the world for FIFA titles. Fast forward to 2010 and Matt Bilbey, EA Sport’s vice president of football, predicts that the U.S. market is about to move up a few spots. Gamers love the black Wii, but what does Reggie Fils-Aime have to say about it? Nintendo has released a new video featuring Nintendo of America President Reggie Fils-Aime talking about the black Wii console. In the video, Fils-Aime explains the value of the Wii system as well as the bundle now available in stores.